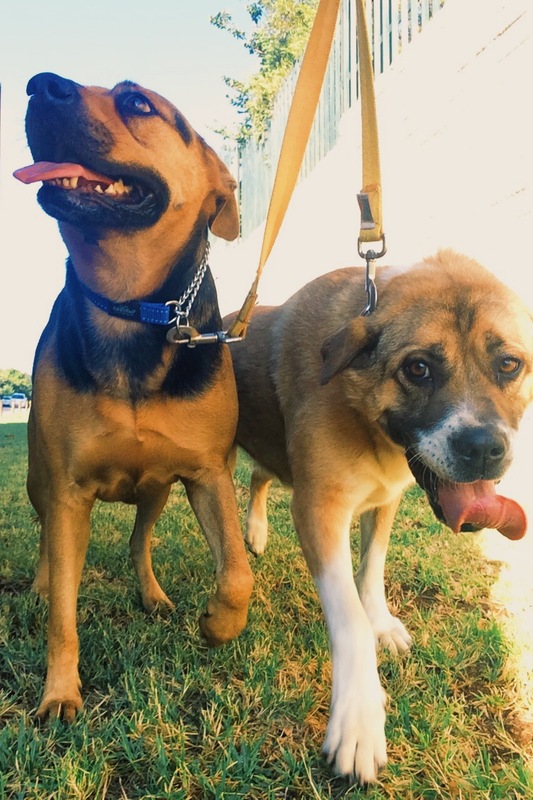 Dog Walking Sandton Johannesburg – Sandy and Sparrow are a very calm bunch, and we love walking them! Their human joined us for the walk, which is always a treat. Sparrow is spritely but calm, and Sandy is just happy to be joining in on the fun. It was quite warm at the time we went walking, but thankfully the clouds were out, and there was a nice cool breeze. The two pups enjoyed their time walking in the area, and Sandy even got to cool off by walking in front of a sprinkler! The two also made friends with Ozzy and Roxy, who are always delighted for new buddies! Duke the Pit Bull joined the walk too, so it was a very exciting day for everyone involved! The dogs were exhausted by the time they got back home, and were happy to lie in the shade after a drink of water. We can’t wait to see them again next week! Fantastic Quotes About Dogs That We Love! This entry was posted in Dog Walking and tagged #YourHound_SA, animals, city streets, Dog walking, Early mornings, exercise, fit, Happy Dogs, healthy, Joburg streets, Johannesburg, love, Pets, Socializing, Sunny Johannesburg. Bookmark the permalink.